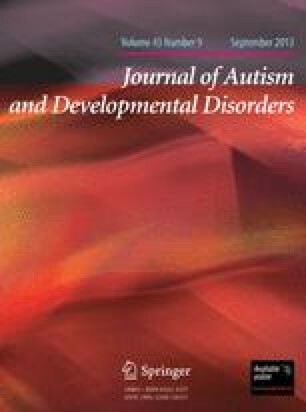 A meta-analysis was performed on the 133 cognitive and behavioral papers in autism using comparison groups in the 1999–2002 period. High-functioning (average IQ: 84.7), adolescents (average, 14.4 years) are largely dominant. IQ is the most frequent matching variable in use (51.2%). The instruments that are most frequently used to determine IQ or general level are Wechsler scales (46.9%), British Picture Vocabulary Scale (BPVS; 22.3%), and Raven Progressive Matrices (RPM; 16.9%). In order to determine if these instruments were equivalent when applied to individuals with pervasive developmental disorders (PDDs), Wechsler IQ, EVIP (a French Canadian translation of the BPVS), and RPM were given to a group of 14 individuals with autism and 12 with Asperger syndrome. Comparison of Wechsler and RPM IQs values, expressed as percentiles, to percentile values of EVIP score revealed that EVIP (and to a lesser extent RPM) considerably overestimates the level of all PDD participants as compared to Wechsler Verbal IQ (VIQ), Performance IQ (PIQ), or Full-Scale IQ (FSIQ), whereas these instruments are reported to be strongly correlated in typically developing individuals. This study reveals that identification of objects from a verbal label—the BPVS–PPVT–EVIP task—is a peak of ability in high functioning individuals with PDDs. This peak of ability, even superior to that of block design, has a detrimental effect on matching based on this instrument. A recommendation to replace BPVS/PPVT/EVIP or RPM by Wechsler scale as a basis of IQ/level matching is provided. Accordingly, the former instruments are a potential source of type-1 (for cognitive deficits) or type-2 (for cognitive hyperfunctioning) errors.